Haystack Rock is over 300 feet high. , a signature attraction at Cannon Beach on the Oregon coast. 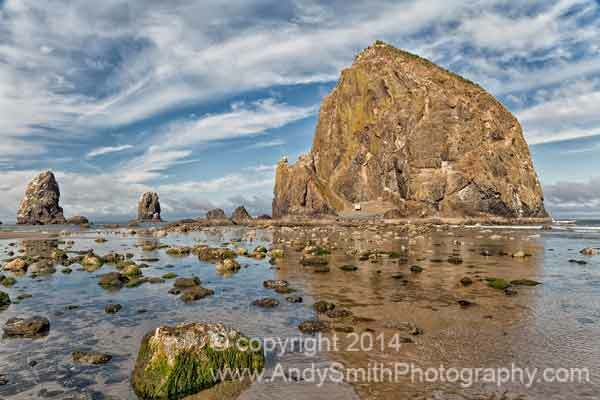 The Rock is a bird sanctuary with large numbers of seabirds and gulls finding a home there. Around its base are tidepools, accessible by foot at low tide, where a variety of aquatic life is found including the Purple Ochre Sea Star.